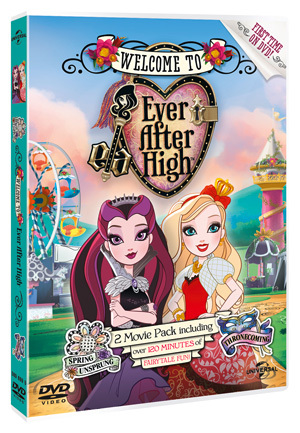 Check out these 2 Ever After High™ movies out on DVD and Digital Download! It’s a spellbinding school full of powerful princesses! Get ready for two Ever After High™ movies on DVD and digital download! If you love fairy-tales, check out Ever After High™! There’s a new 2 movie pack with Thronecoming and Spring Unsprung available on DVD and Digital Download from 26th December! Click here to find out more! At Ever After High™, the sons and daughters of famous fairy-tale characters celebrate the fairest holiday of all: Thronecoming! As the event unfolds, the mystery around the fairy-tale school deepens, causing many of our favourite teens to question their storybook endings and maybe even change their destinies forever! 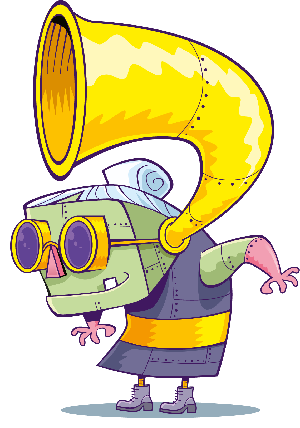 In Spring Unsprung, the teens also celebrate the Spring Fairest: a spellbinding school fair with epic rides, a heated baking competition and royally beautiful decorations and outfits. But this year’s fair isn’t all fun and games. In the newest adventure, Kitty Cheshire’s mischievous mum plays a major prank and a curse causes our fairy-tale teens to act opposite of themselves, threatening the school’s happily ever after! Ever After High™ is out now on DVD and digital download! Click here to find out more! 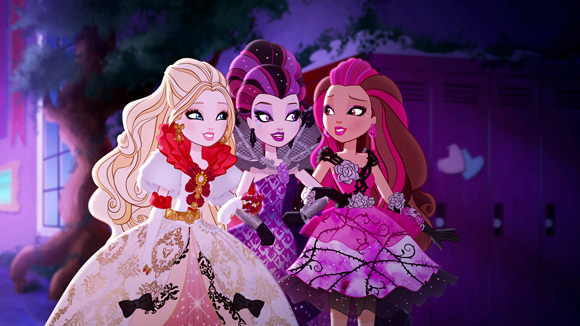 Check out the Ever After High™ trailer below!